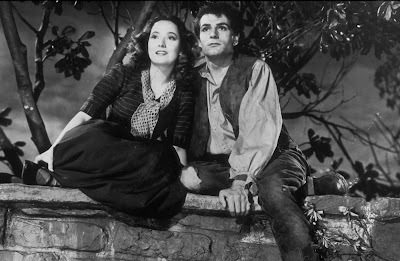 Wuthering Heights (1939) is the tale of Heathcliff (Laurence Olivier) and Cathy’s (Merle Oberon) tortured love affair, based on the novel by Emily Bronte. As a young boy, Heathcliff was rescued from poverty by Cathy's benevolent father. After his death, Cathy's brother Hindley treats Heathcliff like a hired hand. Heathcliff is filled with rage and bitterness, but he stays because of his love for Cathy, who longs for life of comfort and ease. Cathy eventually marries a wealthy neighbor, which makes Heathcliff burn with jealousy and makes him move embittered. Nominated for 8 Academy Awards, including Best Picture and Best Director (William Wyler) Wuthering Heights is “one of the most romantic films Hollywood ever made,” this according to the Los Angeles Times. Part of the “Great movies of 1939” series. Discover some of the greatest movies from Hollywood’s most famous year. Daystar Center located at 1550 S. State St. works through a grassroots network of collaborations and partnerships with individuals and other nonprofit organizations. Through this web, they’re able to provide educational, cultural, and civic activities that enrich and empower their clients, guests, and community members. To learn more about classes and events offered at the Daystar Center, please visit their Web site.